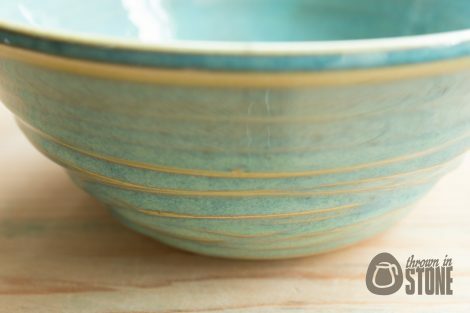 This bowl was hand thrown on my potters wheel using strong white stoneware clay and textured with a fluid swirl on the outside. 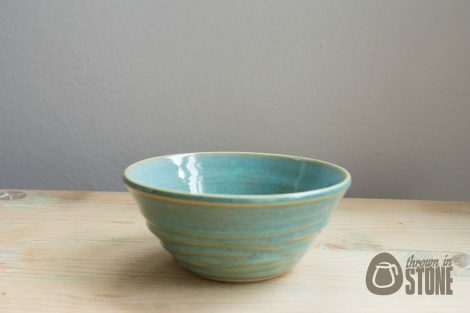 Glazed in a sea mist green glossy glaze. 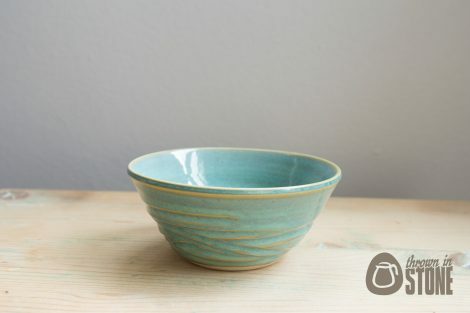 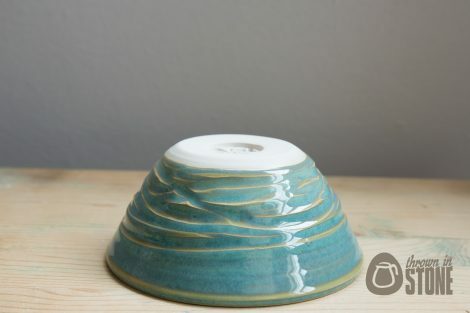 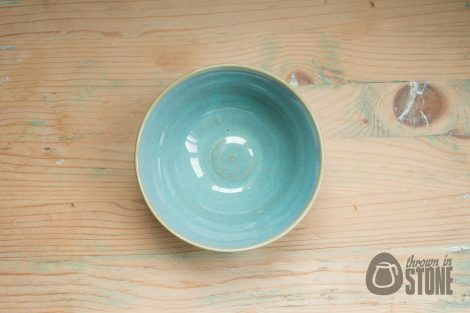 This bowl would be perfect for serving your favourite dip at a party, or to keep all of your little trinkets together.